You have integrated an ATS System in your company. Why you installed it? Since you love your company, you have installed and integrated the applicant tracking system. What you could do with the ATS system? Well, you can add all the interesting brand logos, buzzwords for the recruitment and add your recruiters. (since your business plans in the world will be worthless without those great people who execute the process). So how are you able to train recruiters and salespeople in order to be effective and productive as soon as possible? You need to look for ATS tracking that will come powered with data that comes onboard to be productive. How an Applicant Tracking System Helps with Employee Onboarding? Well, a survey carried over a number of companies in North America, who were asked that how long it take for the recruiters and salespeople at the firm to stay productive. There is a type of group that slowly ramp-up with times - That is because 84 percent of the respondents at these firms had a ramp-up time for a month or longer as they have not employed ATS tracking at their company. If a company is aiming for a ramp-up time within a month or less than that – they have to employ an applicant tracking system to allow professional reporting and quick ramp-up time. So the data collected shows a strong relation between faster onboarding and the use of ATS or CRM. However, how an ATS system actually helps you to streamline the onboarding process? Here are a couple of ways in which an ATS tracking helps to train employees and turn your company into a productive one. In this article, we have come up with two ways that allow the applicant tracking system to work seamlessly and enable quick hiring solutions. When talked about staffing industry, relationship management is everything. heard about reverse reputation, well definitely you have heard. The neglected candidates and clients will not just end their relationship so soon, they are going to soon spread the word of mouth and will bring some negative reputation for your company. And at the same time for new recruiters, the relationship management is not a skill that they can learn easily. The number of candidates a recruiter contacts both prospective and previous applicants that could ripe for redeployment and makes frequent communication a difficult task to be. If you are juggling a multiple a number of relationship in your company that you need to determine the right time, that you can only do with ATS system. It helps the new recruiters to keep themselves up to date with the candidate's details. A great ATS tracking will allow capturing the emails automatically that has been sent to a candidate. It will help to flag the relationship that needs more attention. Recruiters can also use an applicant tracking system to personalize all the emails to the candidates. It helps to segment the candidates to groups. The applicant tracking system allows the recruiters to customize drafts and specifically apply to the unique circumstances. All the recruiters are not equal. They have different parameters to run their recruitment agency but one thing they might be missing that is great relationship management skills. Even if they have a good recruiter with great management skills, they might not be good at calls. Even there are recruiters who might be a social butterfly, who struggles with the proper sourcing. But with an applicant tracking system you will be able to track the performance metrics of a particular hire with ease. You can easily compare the results to those who are more seasoned and professional in your team. Since a good ATS system will help you to track the entire history of communication with a candidate. The ATS tracking also allows you to know the entire history of the candidate. You can also get a qualitative audit and communicate with the candidates with easy skill sets as well. As you get to monitor the development of your recruitments from the beginning, you also get a chance to customize their feedback for every recruiter. This allows each new recruiter to seek attention if he or she needs to excel. You do not need to wait until the last quarter just to discover the recruiter why he or she is not making enough calls. Why he or she is not productive? For everything you get the ATS system that allows you to track the applicant and let the recruiter and even the admin keep a tab on the entire recruitment process from the beginning. 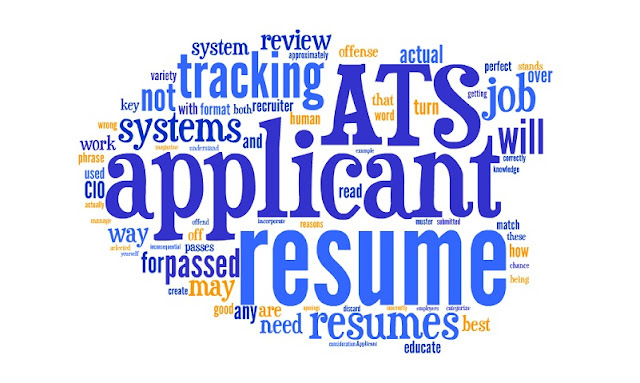 Get to know many more things about ATS System and how are they addressing the issues of any recruitment agency.